As geomicrobiologists, we seek to understand how some of nature's most complex systems work, yet the very complexity we seek to understand has placed many of the insights out of reach. Recent advances in cultivation methodologies, the development of ultrahigh throughput DNA sequencing capabilities, and new methods to assay gene expression and protein function open the way for rapid progress. 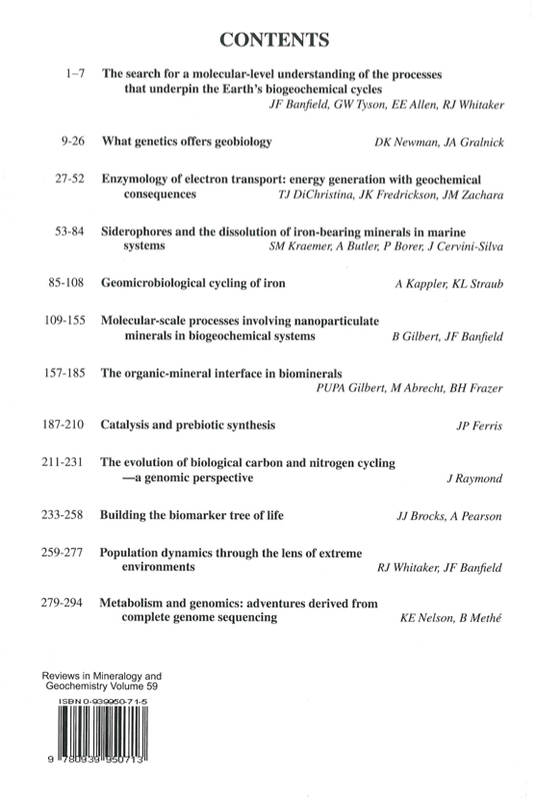 In the eight years since the first Geomicrobiology volume (Geomicrobiology: Interactions between microbes and minerals; volume 35 in this series) we have transformed into scientists working hand in hand with biochemists, molecular biologists, genome scientists, analytical chemists, and even physicists to reveal the most fundamental molecular-scale underpinnings of biogeochemical systems. Through synthesis achieved by integration of diverse perspectives, skills, and interests, we have begun to learn how organisms mediate chemical transformations, the ways in which the environment determines the architecture of microbial communities, and the interplay between evolution and selection that shapes the biodiversity of the planet. 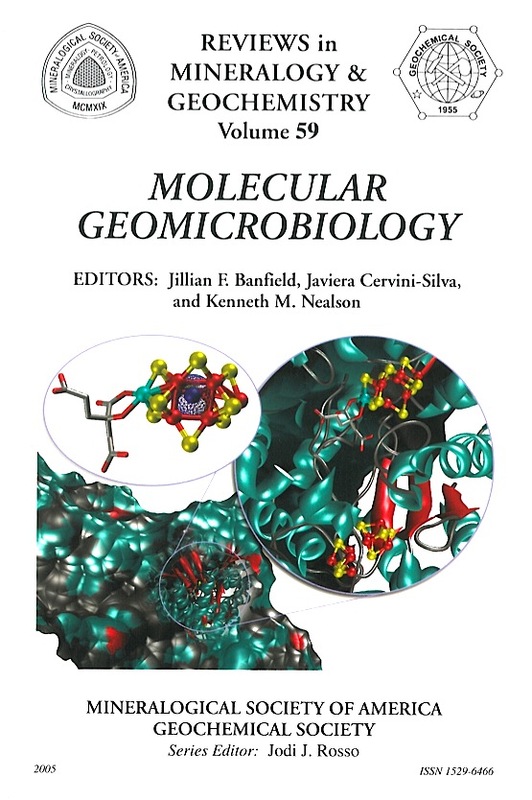 This volume presents chapters written by leaders in the rapidly maturing field we refer to as molecular geomicrobiology. Most of them are relatively young researchers who share their approaches and insights and provide pointers to exciting areas ripe for new advances. This volume ties together themes common to environmental microbiology, earth science, and astrobiology. The resesarch presented here, the associated short course, and the volume production were supported by funding from many sources, notably the Mineralogical Society of America, the Geochemical Society, the US Department of Energy Chemical Sciences Program and the NASA Astrobiology Institute.